Back in Bucerias following their INCREDIBLE sold out shows last season - Jeff Fairchild and Ken Levine as The Blues Brothers!!! Jeff Fairchild and Ken Levine blew us away last season with their incredible tribute to The Blues Brothers! 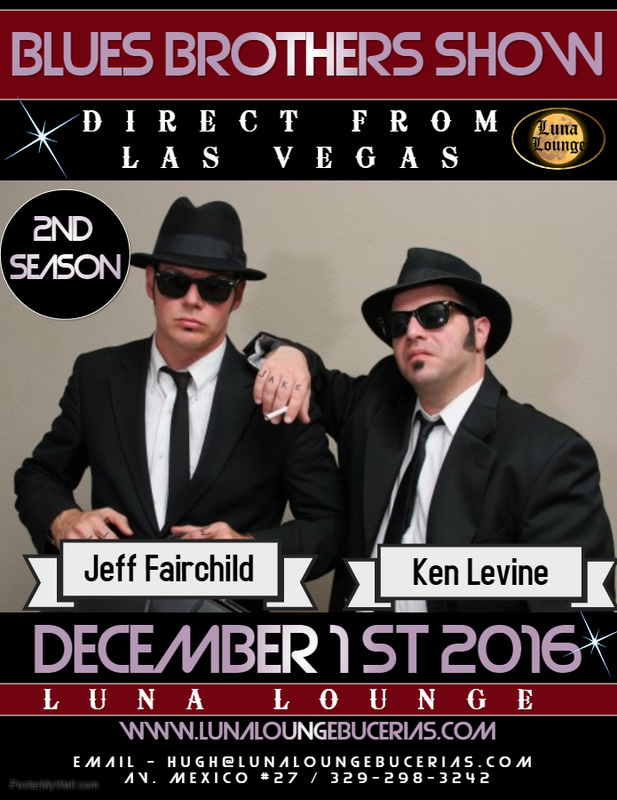 Based in Las Vegas but touring throughout North America, Jeff and Ken made their Mexican debut at Luna Lounge last season and boy, did they put on a show! We are absolutely delighted to have them come back and open the season for us this year in Bucerias. It will be a real party at Luna Lounge as we kick off our best cabaret season yet with this high energy show that is not to be missed. We have a great new menu this season and of course, our usual great service and attention to detail. Tickets are available for this launch party event now so don't delay and get yours today! !